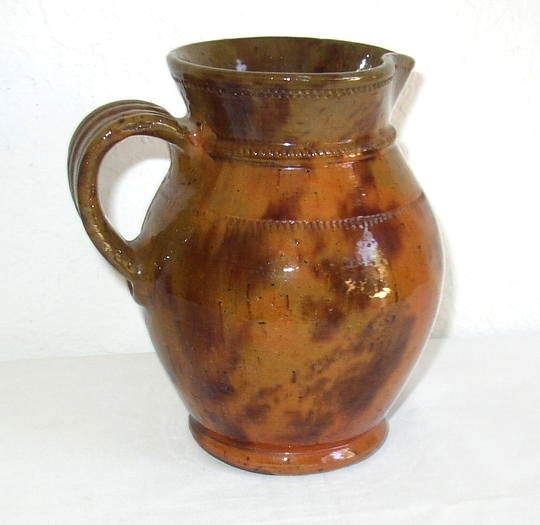 Jacob Medinger Redware Pitcher with strap handle with 3 rows of tool work decoration. Nice bright pumpkin color with splotches of green and manganese decoration. A very nice example of Medinger’s work. 7 1/2″ high. Interested in making a purchase?